The Wisconsin DNR is our partner for the Kids Fishing Clinics and Hunters Safety courses. The WHSA is represented at the Waukesha County Conservation Alliance. Wern Valley supports us throughout our endeavors. It isn't about who you are. It isn't about where you come from. It isn't about your experience level. It isn't about how many times you've tried. It's about having the support of like-minded women. It's about having those women having your back. It's about having those women helping you achieve your hunting and sporting goals. As Certified Angler Instructors, each spring we partner with the Wisconsin DNR and host a Kids Fishing Clinic. Whether it's knot tying, ethics, equipment, casting or fishing, each station provides an interactive and educational experience for every child. The best of all? It's free for kids up to 16 years of age. Many of our members are Hunter Education Instructors. 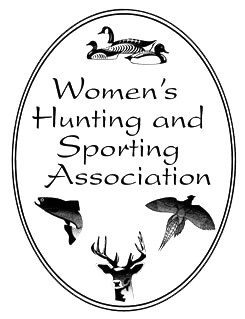 We schedule one or more women only or general Hunter Education field days to instruct and test those who want to be safe gun handlers and safe hunters. If there's something new to try, or an activity a club member has always wanted to try, but didn't have someone to try it with, we're there! Hunting, fishing, canoeing, paintball - if it's outdoors or a sport related activity, we're in.